You are here: Home / Credit card fraud / 14 ATM Security Tips while using ATM in India! Little tips really make difference! 14 ATM Security Tips while using ATM in India! Little tips really make difference! Are you confidence of ATM security? Hope you all know little much about ATM security tips, but today I am going to move you to be an expert while using ATM Service. We have already secured your Credit card uses by published valuable tips on it. So let’s secure your ATM-Debit card today. Credit Card tips here: 17 Useful Tips to Avoid Credit Card Fraud in your online life! Criminal Cry after Reading This! Never write it down or share someone else or back on your ATM card. You can use same PIN for your entire ATM card but its may risk of PIN compromisation. Make sure to hide your pin with your shoulder while entering. Don’t allow anyone to look over your shoulder. Try something new code while resting your Pin code. Don’t use your date of birth current year, or common pin code like 0000, 1234, 1111, 9999 etc. Prove that you are too smart than a criminal. If you trapped by any attack into ATM Room and asked to withdraw all money from your account, Just Reverse the pin and enter it. Money will be withdrawn with no issue but and warring will be sent to nearby police station that some trapped by criminal into ATM Room with location and camera footage. Before entire ATM counter just update it to somebody who trustable or one of your family member. If anything happen wrong it’s easy to inform the police. If shutter was closed then your follower can ask for help. In emergence of cash shortages use reserve cash or use true friend advantage by asking some credit. Avoid visiting ATM in Midnight and Early morning. If you have multiple website then it’s better to keep only one ATM into your pocket and use auto rotated your balance. Always maintains Rs. 8000-15000 balance. And keep your saving a side. In case you are trapped by ATM fraud then most of the money will be save. Use those ATM which are security guard enables. Always say no to take help from stranger. Always choose ATM are in well lighted and in crowd area. Avoid ATM places in Corner or less secure area. keep your transaction receipt safe and make sure to review it with your bank statement regularly. all don’t now take moment to cancel your section before your exit the ATM room. Some of ATM matching has pre-program to hit multiple transaction by using simple logic gets of “Do you want to make another transaction” So cancel your section or your following person can use advantage of mistakes. If any incomplete transaction happen take a backup of your transaction ID by photo copy and informed your bank immediately. We study data and got that most of the ATM Thief happen from 7 pm of evenings and before 4 pm. Watch out is anyone following or not! Go to in save place or be locked into your car to count your money. Also be careful by not wearing expensive jeweler or take other valuables to the ATM. Plan to deposit money. Take your time, ready everything before entering into ATM room. Don’t show off your case or how much money you are going to deposit. Keep secrete everything and be Alert. Note to keep: Does Your Credit Card Safe? Know how does a Credit Card Frauds happen? Remember prevision is better than cure! 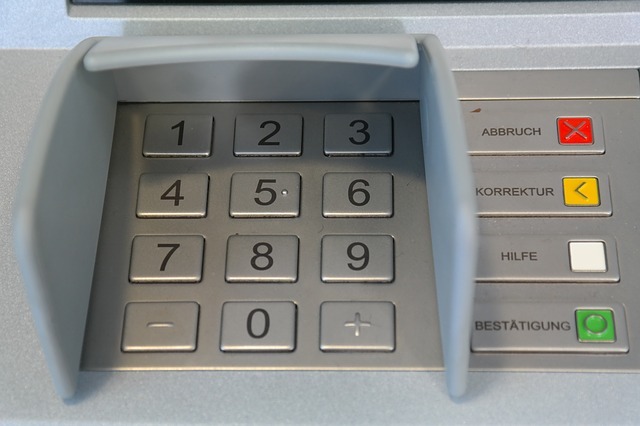 So it’s time to watch out – let me know how you guys think about my ATM security tips! Should I miss anything?